Matanzas Pass Preserve 191 Bay Rd. Today a plaque at the preserve entrance depicts an era when a young island community combined efforts and rallied around nature photographer John Dunning to raise funds to secure this unspoiled parcel of land as a sanctuary for the native plants and wildlife. Once known as the Martha Redd property, the land was purchased in 1974 as the last tropical maritime hammock on Estero Island. 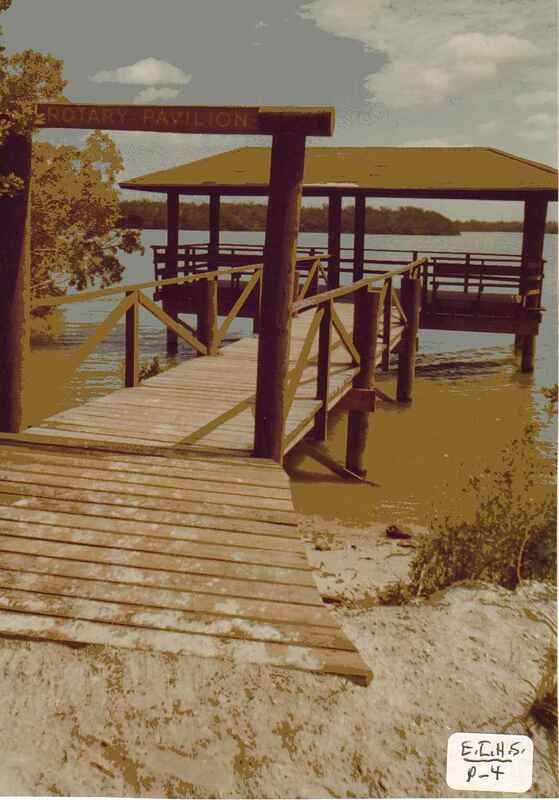 This land changed hands to the Nature Conservancy, and in 1979 was dedicated as the Matanzas Pass Wilderness Preserve, with trails and a boardwalk leading to the newly constructed Rotary Pavilion on Estero Bay as seen below. 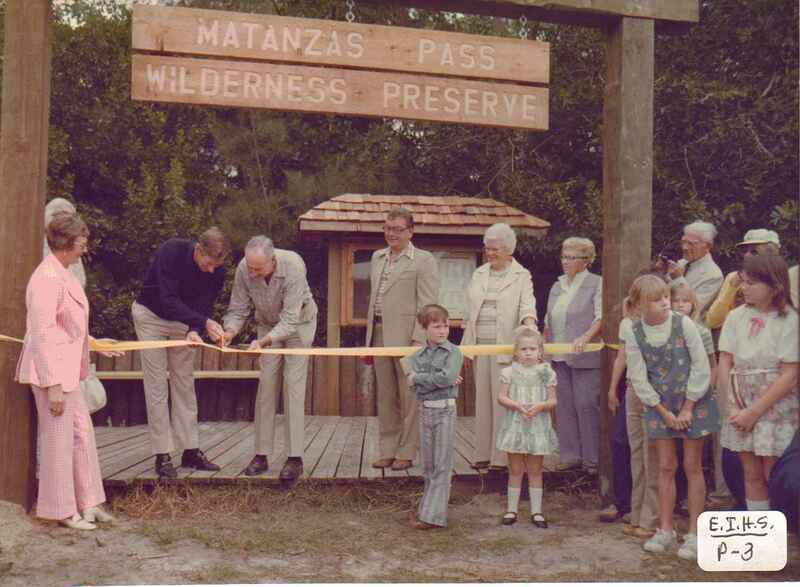 By 1994, the Preserve was donated to Lee County by the Nature Conservancy, and at that time, the name "wilderness was dropped from the name, while "the friends of Matanzas Pass Preserve" was established as the stewards of this unique natural habitat. 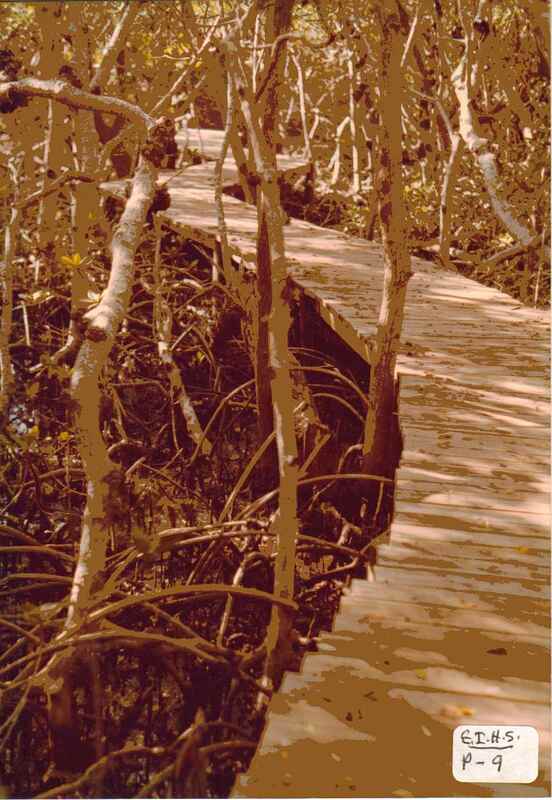 Today Lee County Parks and Recreation contain and maintain the 1.25 miles of trails and extended boardwalks through the 57 acre canopy of mangroves and oak hammock, where a paddlecraft landing connects to miles of the Great Calusa Blueway paddling trails. All open, free to the public, from dawn to dusk daily. In adddition, both seasonal and year round recreational and educational programs are scheduled in nature's popular outdoor classroom.